Idaho Governor, Butch Otter, signed House Bill No. 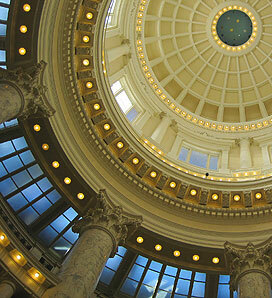 97, restoring the status quo of Idaho Code Section 12-121 regarding attorney fees. This bill cancels the effect of the Hoffer v. Shappard decision by the Idaho Supreme Court and is effective immediately. Matt Walters, along with fellow IADC board member, Rob Anderson, and President, Keely Duke, worked with members of the Idaho Trial Lawyers Association to discuss the effect of the Hoffer v. Shappard decision. The Idaho Associate of Defense Counsel and the Idaho Trial Lawyers Associated agreed they would support the legislation to reinstate the long-standing attorney fee standard the Hoffer decision rejected. Several members of the ITLA testified before the legislative committees in support of the legislation and were able to represent both organizations’ support for the restoration of the status quo. For more information about the Idaho Association of Defense Counsel, please visit www.idahodefense.org.